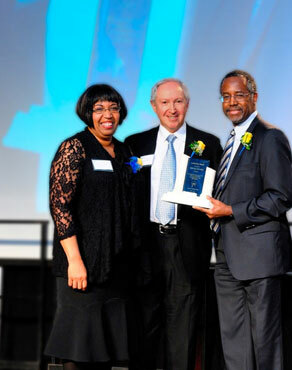 The Carson Scholars Fund (http://www.carsonscholars.org/) supports two main initiatives: Carson Scholarships and the Ben Carson Reading Project. The scholarship program awards students who have embraced high levels of academic excellence and community service with $1,000 college scholarships. The Ben Carson Reading Project provides funding to schools to build and maintain Ben Carson Reading Rooms – warm, inviting rooms where children can discover the joy of independent leisure reading. At the organization’s banquet in April 2014, I was honored to receive Leadership Award for “positively impacting society with innovative ideas, accomplishments, and philosophies.” But more importantly, I was able to share the story of how I was fired from my first job after only three months because of downsizing, but used the experience to move on to the next step in my career. 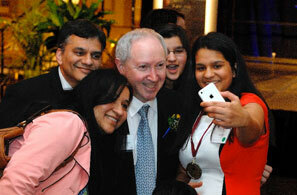 I hope that by sharing that story with the students in the audience, I encouraged them to not listen to negativity. 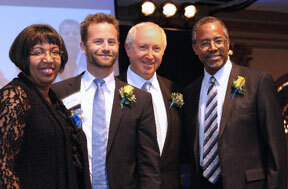 I also spent the evening with actor Kirk Cameron and baseball legend Brooks Robinson, both of whom also received awards.